Available for all Suzuki Vehicles. 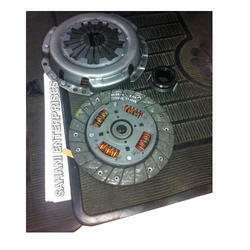 We are a noteworthy house involved in trading, exporting and supplying high quality clutch and pressure plates. Pressure plate spring set of 16 pcs. (330 dia). 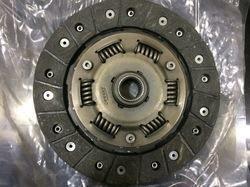 Clutch Pressure Plate is commonly known as the pressure plate. It is bolted to the engine flywheel and it's main purpose is to exert pressure against the clutch plate, holding the plate tight against the flywheel, and allowing the power to flow from the engine to the transmission. We are a leading supplier of TATA Ace Pressure Plates. - Use of needle roller bearing than bushes Enough mass of pressure plate to dissipate heat generated during operation Original equipment to Tata Motors, Volvo-Eicher. Justifying our reputation in this highly competitive industry, we have brought a wide assortment of Pressure Plate Tawa. Owing to our years of industry experience and precise knowledge in this domain, we are offering an outstanding assortment of Clutch Pressure Plate. We offer premium range of pressure plates for automobiles. Our assortment of pressure plates are known for their better function ability and standard work efficiency. These plates are used in automotive industry and are renowned for providing hassle free functioning. We are engaged in offering a quality approved range of Clutch Pressure Plate.